If you’ve ever wished there was a positive social media network aimed at connecting, celebrating and elevating mums you don’t have to wish a minute longer! Peanut is here and it’s got the good looks of Instagram, the powerful profile building of Facebook … and an optimistic, friendship-focused ethos that is all its own. While it’s being referred to as a sort of Tinder for mum friends, there’s a whole lot more than casual hookups behind this ambitious and brilliant platform. 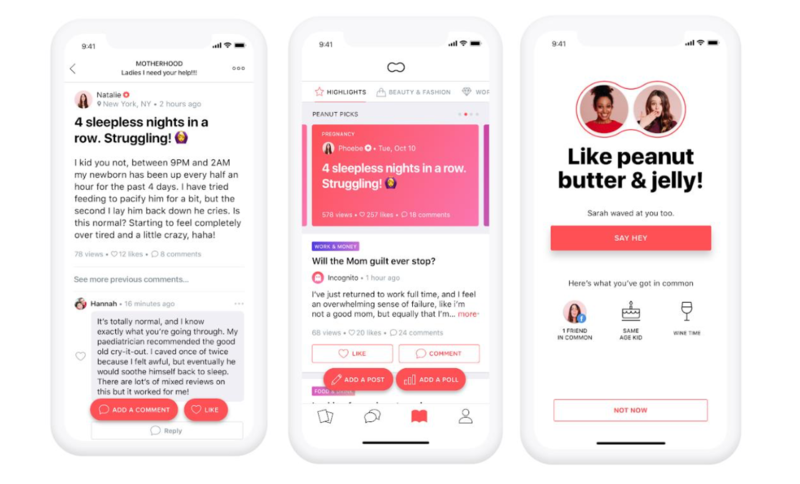 Created by British tech genius Michelle Kennedy, in its first year Peanut attracted a whopping 300 000 women keen to grow their social circle – but too bogged down in work/life balance battles to chip away at finding relatable gal pals in offline ways. Peanut is already flourishing in the UK, Canada and the US and it’s just launched here in Australia. Australian mums “want to connect and have conversations with like-minded women,” Peanut creator Michelle Kennedy says. “To seek advice and support, isn’t that what every woman wants? Peanut profiles and pages work in ways that are a little familiar but have a bunch of great mum-centric features that help families with commonalities connect and build new friendships. It’s cute to look at, easy to use and already brimming with brilliant women who are keen to find like-minded new pals. Find out more about Peanut here.